We are every proud of all the learning that happens everyday in our school and which is recognised in the Ofsted report and the Outstanding SIAMS inspection report. 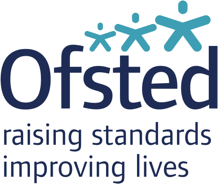 Please find below reports for our recent Ofsted inspection. The governors, staff and children are very proud of the report as they reflect all the hard work everyone has done over the last few years. Church Of England Inspection Reports (SIAMS) Please click the link below to read out Outstanding inspection report. Further information regarding the performance of Scorton Primary School can be found via the Department for Education website https://www.gov.uk/school-performance-tables. Details of end of key stage testing are also available on the Parent section of this website.